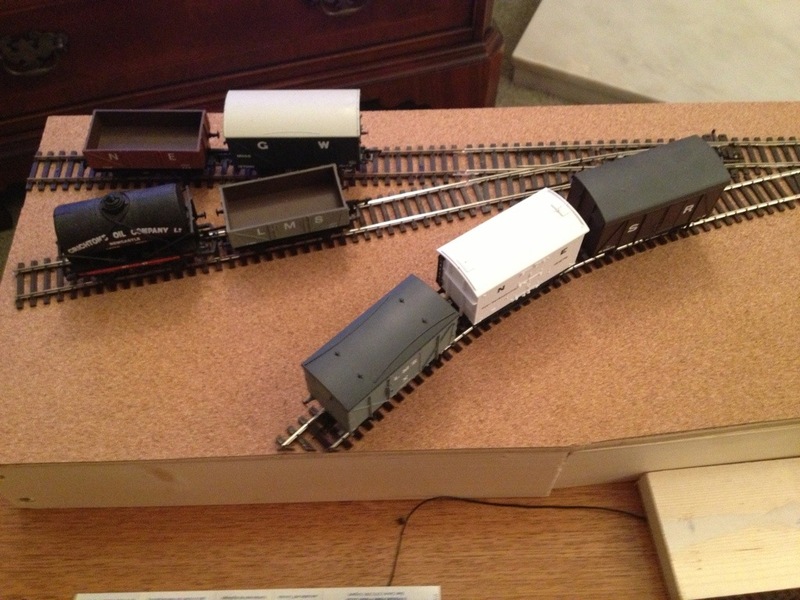 My micro layout is intended to have two levels. The upper level will allow a single carriage and tank engine emerge from behind a back scene to service a platform and then return to where it started. This could be automated so that the service runs while shunting takes place in the yard below. I really like high level tracks running across railway arches, and this is the intention. Around Newcastle a good amount of sandstone was used for this type of architecture in preference to brick. Scalescenes make some download and print arches in a number of finishes and the ashlar stone is about right to capture the correct effect, though I’m worried the stone looks a little too clean! 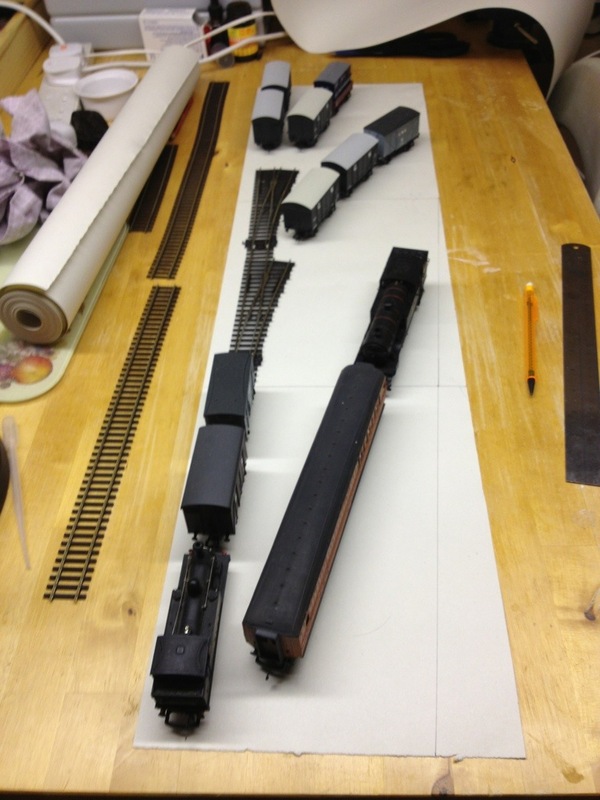 The point where the train emerges from the back scene will be half way along the layout, and will need disguising. A Tall signal box can be used as a focal point to draw attention. This can protrude out from the line of arches, so that its foundations are in the lower yard. The idea is simple enough, but fitting it into a restricted space needs careful planning. The best way is to mock it up using scrap card to see if it works. The picture above illustrates the issues of working in tight space. I’ve printed off a couple of sheets of arches and positioned them on a simple cardboard framework. One of the sidings on the shunting puzzle disappears into an archway, and the headshunt emerges from something that will be ultimately disguised with a girder bridge. This gives the impression that the scene is part of something much bigger and a line passes through on a curve to serve a pair of short factory sidings. 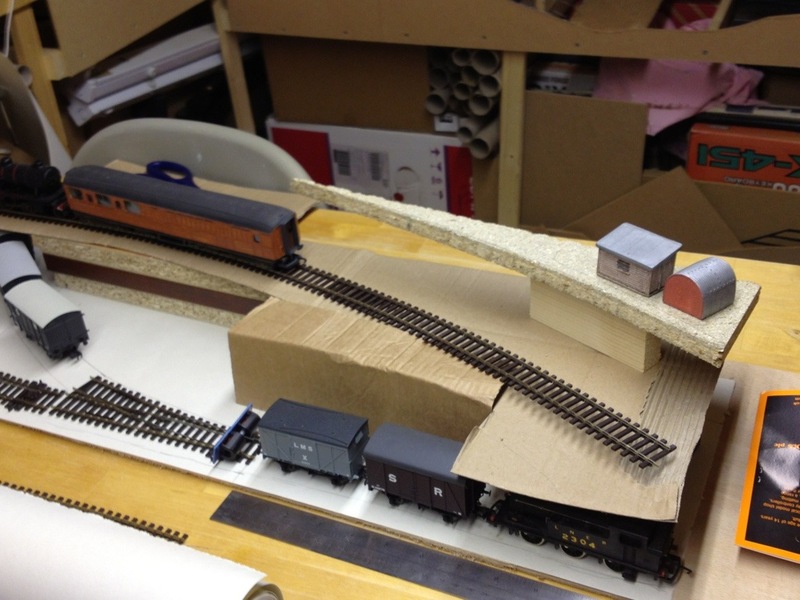 The mockup needed to show the exact position of the arches and work out where the signal box might be placed. 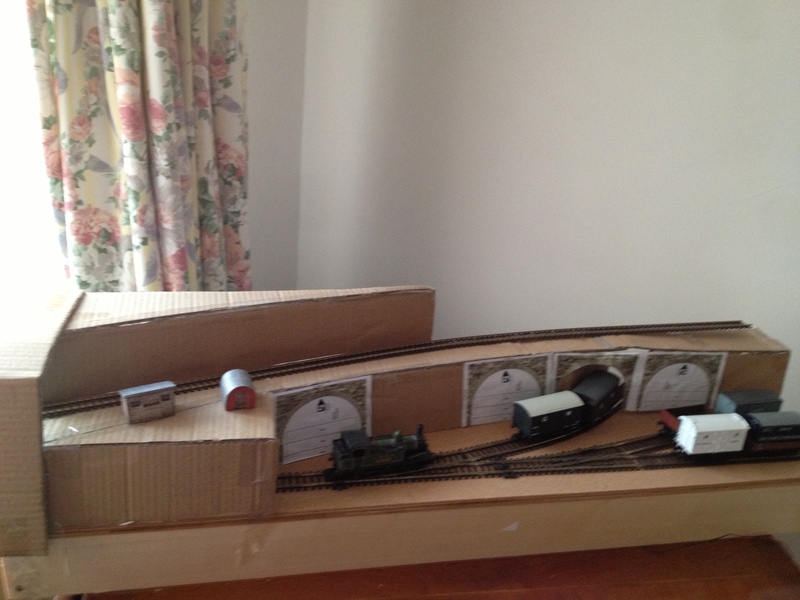 The photograph shows the gap in the run of arches, and this will be built out to accommodate the box. 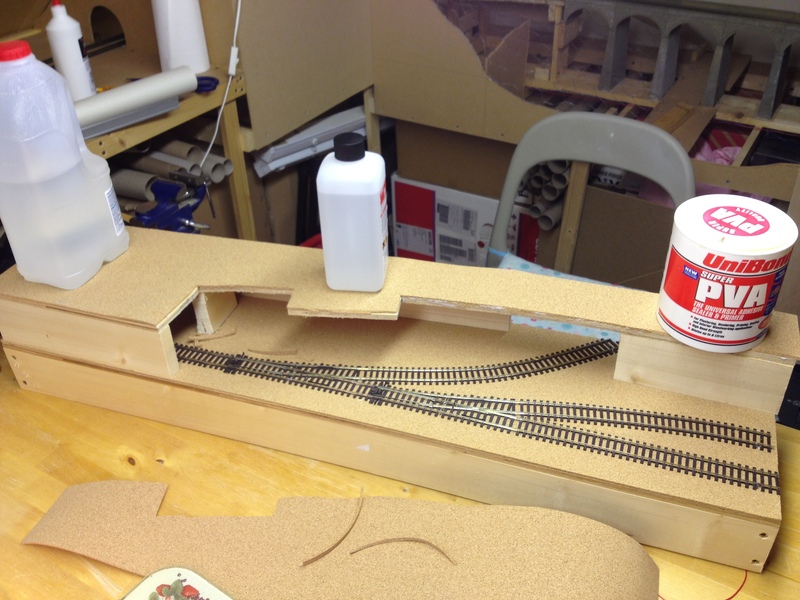 On the top level I’ve included the yard of track on a slight diagonal (I hate too many tracks that run parallel with the front edge of the baseboard) and for the moment started to experiment with making the scenery behind the track even higher. At this stage I’m not sure whether it works or not. Like all mockups, its only a first impression. What is actually built may well evolve into something quite different.